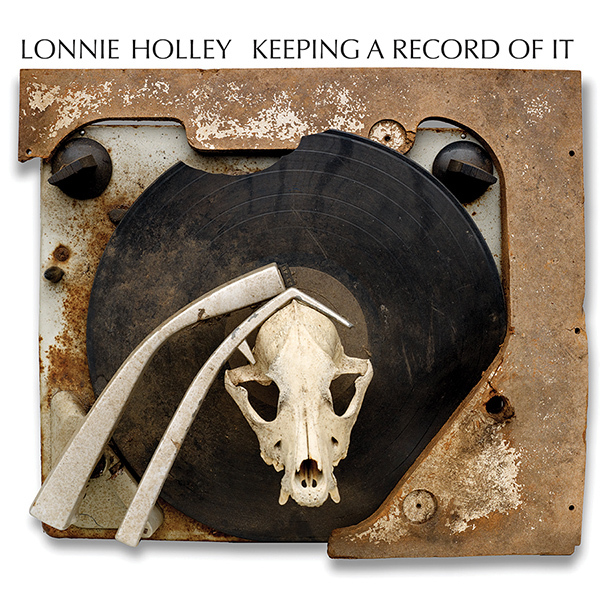 Lonnie Holley’s debut album, last year’s phenomenal Just Before Music, was easily the most eye-opening album I’ve bought all year. With his gruff, soulful voice and free-flowing synthesizers, Holley improvised free verse about earth, space, nature, consciousness, and human tragedy, and it was just glorious and inspiring and life-affirming. The songs on that album were recorded in 2010 and 2011. This is his second album, and mostly features recordings from the same years, although opening track “Six Space Shuttles and 144,000 Elephants” was recorded in a church in Alabama in 2006 (as was “Making a Joyful Noise”, a short conversation snippet). There’s more rhythm and drums (programmed and live) than on his first album. The last 2 tracks even feature Bradford Cox (Deerhunter) and Cole Alexander (Black Lips), adding drums and guitar, and several multi-tracked Lonnies. The results are a little less stunning than the first time out. He still has a truly unique vision and sound, but I don’t think that his collaborators really mesh well with what he does. He seems to really enjoy working with them, and I’m sure the feeling is mutual, it seems like working with this guy would be a really enriching experience for everyone involved, but as far as his music, I feel like his vision is best when it’s pure and undiluted, just him doing his thing. So of course my favorite tracks on here are the ones solely credited to him. “The Start of a River’s Run (One Drop)” features stark electronic percussion emulating xylophones or marimbas, and Lonnie’s vocals singing about rivers, slave ships and spirits. “Mind On” has a small tinny drum machine beat and liquid synths, and vocals which seem a little bit more sparse and repetitive than usual. “Sun & Water” (co-credited to Lillian Blades) is even more repetitive and mantra-like, and features hand drums and multi-tracked vocals, and a bright, hopeful synth melody. And then there’s the Bradford Cox/Cole Alexander tracks, the 13-minute rambler “From The Other Side Of The Pulpit”, and the album’s title track, which sounds like an instrumental reprise of the previous track. Both feature the same sort of lazy phase-shifted drum beat, scrap metal percussion, and mallet percussion, with Lonnie’s wailing background vocals. They sound just fine, but I can’t help feeling something’s out of place. Still a really unique album overall, and I hope I get to see him live at some point (he toured with Bill Callahan and they came to Detroit recently but I was at a show at my friend’s house), but his first album had a much bigger impact on me.